We offer a wide array of Food and Pharmaceutical Processing Equipments. Our company is committed to achieve the highest standards in engineering excellence by introducing and marketing superior quality products. 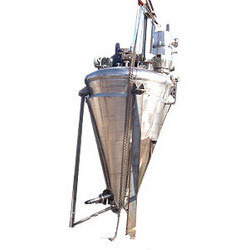 We are a young and dynamic organisation offering wide array of products like nauta mixers, contra rotary mixers, conical dryer, double cone dryer, nauta dryer, planetary mixer & press, filling machine, mixing & phase vessels, storage tanks, manufacturing, vessels, agitated tanks and paste mixers.